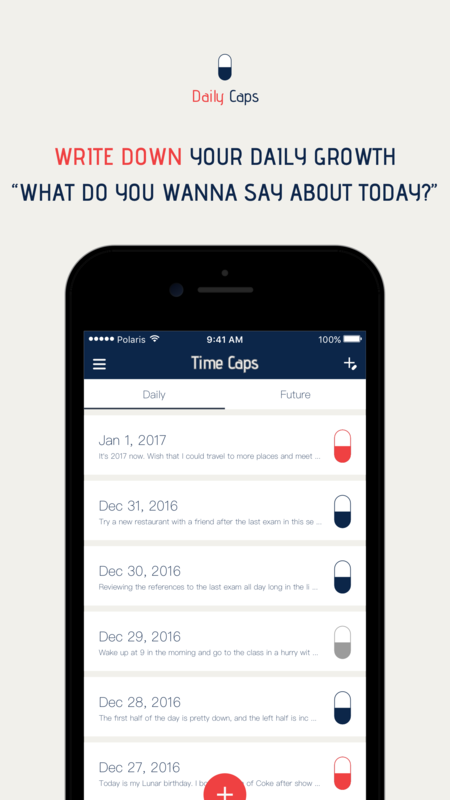 Time Caps is an iOS diary app through your lifetime, with which you could write to the future you and receive the words and photos you have kept into the Caps at specific date. 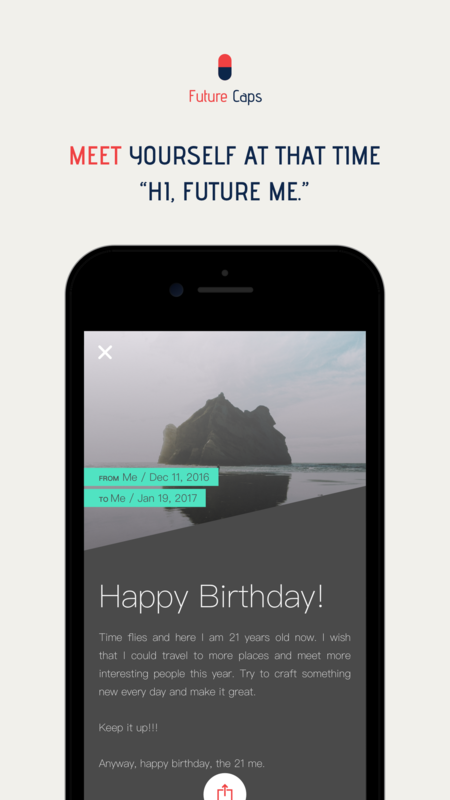 You could write down the mood at the moment or the expectations of the future, into the Future Caps and send them to the future you. When the caps arrive, open and read the letter from the past. Go find who you were, and reflect on yourself then. Our life is a journey of time. While we are looking forward to the future, we live in the present. What would you like to write down about today? Was today a peaceful or great or bad day? 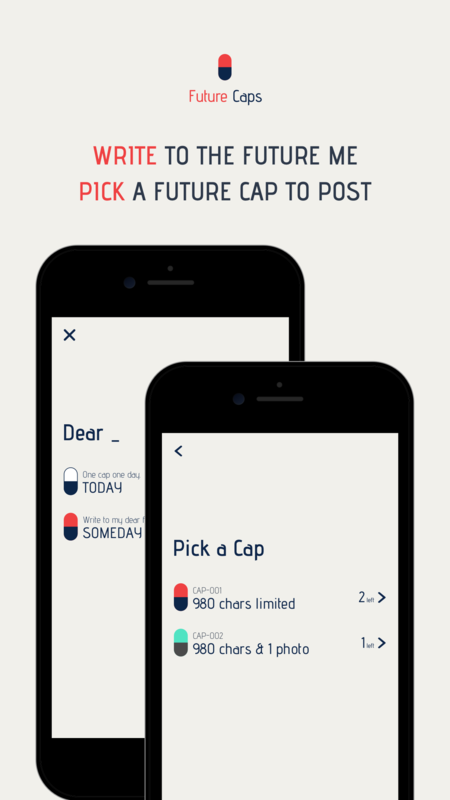 Write down simply with Daily Caps. One day one cap, and may you a beautiful life. 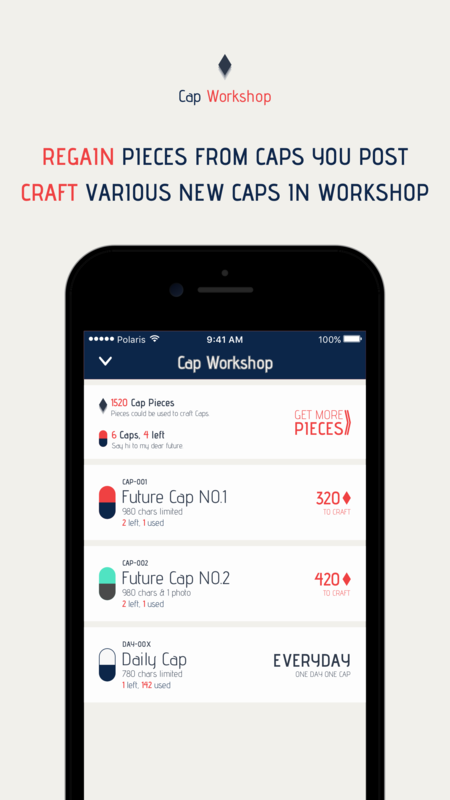 Caps can be crafted by Pieces in Workshop. 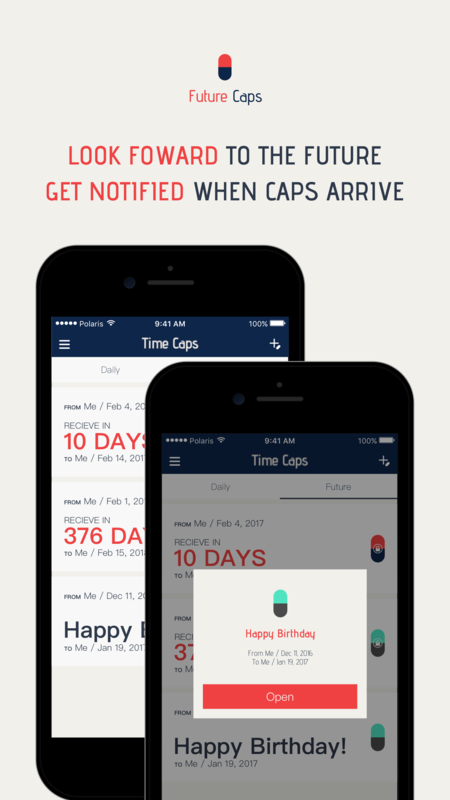 You could regain some Pieces by posting Daily Caps and Future Caps. Pieces are also purchasable in Workshop. Collect Pieces and craft more Caps in Workshop.